Success – What it really looks like. I want to start by saying that I really like this quote. I think success can often be thought of as an individual pursuit and it is a good idea to think about it in terms of how others can be inspired by the things we do. Brilliant and inspiring as always. The perfect starting point for a retreat I am facilitating this evening- thank you for sharing. How did it go? BTW, I have used my deck of cards from the Y a ton! They are great. And they remind me of Jim every time I pull them out which is awesome. 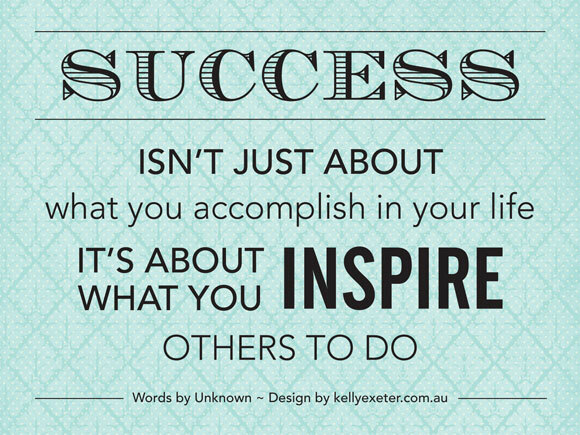 You inspire me…really. I’m so glad you’re blogging up a storm again! Doing this with my grade three kids on Monday! Thanks! So welcome! I am finding myself quite productive in the small hours after getting up to my daughter – you can thank her! I realize I haven’t posted the kids pictures and text. I think I will make it into a Voicethread and add it. How did it go with your third graders?